Artist and costume designer Adi Granov (“Iron Man”) joins Dr. Peter Coogan (Institute for Comics Studies) and Dr. Stanford Carpenter (School of the Art Institute of Chicago) for a wide ranging look at the superhero costume. A rare copy of “Superhero: The Secret Origin of the Genre” will be given away! Ever wondered what Entertainment Networking would be like? Have you ever thought about what it would be like to have all your bookmarked sites in one place? If you’ve ever thought about this, your dreams are about to come true! Most comic collectors are aware of the paper restoration controversy, but very few know exactly what it is or how to spot it. Long time collector Richard Evans and noted paper restorer Matt Nelson present guides to understanding restoration and how to detect restored comics. Wikipedia is just the start! Wiki founders from Wikia—home of Wookieepedia, Memory Alpha and Muppet Wiki—demonstrate how to edit pages, build a community of contributors and protect your wiki from vandals. 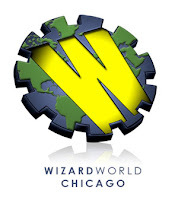 A Comic Book Convention In Chicago?